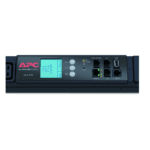 The APC Switched Rack Power Distribution Unit distributes power to devices in the rack. 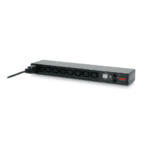 The user can turn on, turn off, or recycle power back to the individually controlled outlets. 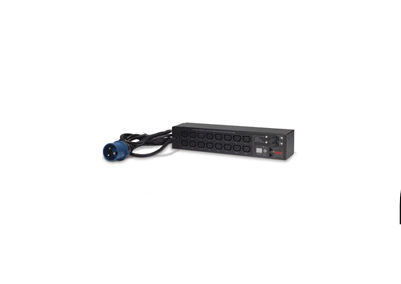 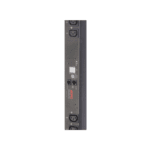 The Rack PDU also has a sensor that measures the current being used by the Rack PDU and its attached devices. 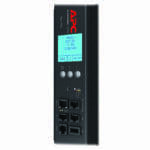 The Rack PDU can be monitored through Web, Telnet, SNMP, or InfraStruXure Manager interfaces.